Manage your Stress before it manages you. In an ever increasing climate of global competition and technological advances, organizations are looking for the type of resilient workforce who can maintain and increase their productivity using the latest technological advances to create value in their services. However as people living through such times, it is not difficult to see why 50% of workers on the average rate their jobs as being very or extremely stressful that affects their work/family balance and overall health. In a recent study conducted by Harvard Medical School , the institute for Health and Productivity Management, and Unilever explored the link between employee lifestyle health and productivity. Sponsored by Standard Life Healthcare and Philips, 2,300 (600 pilot group, 1,700 control group) employees participated in a comprehensive employee wellness and health promotion program. Compared to the control group, employees participating in the workplace health programs experienced, on average, a 5.9-hour reduction in short-term disability per employee and self-reported performance improvement of 2%. These improvements represent a gain of over 2 days a year in actual productive time. This goes to show that keeping ourselves resilient in challenging times is key to our performance and productivity. As organizations manage their staff and develop their talents — it should not be surprising that employee’s physical health and well-being can have tremendous bottom line results including promoting retention, reduced costs due to health insurance, accidents, absenteeism and improved performance and productivity. The thought of managing stress before it manages you is an integral part of our efforts to keep a vibrant, resilient and productive society. It is important to realise that optimal health and wellness encompasses more than just physical well being--it includes social, spiritual, behavioural, and intellectual health. Based on over 20 years of research, our findings with individuals provide a scorecard of important health resources and health risks shown to be associated with job burnout, physical illness, depression, anxiety, absenteeism and psychological well-being in recent published research. Our research is based on the Stress Profile (Nowack, 1994) currently published by Western Psychological Services (WPS). Thus workers who can balance work life demands and life’s stressors are in a better position to an effective contributor to society and their families. 4. To practice techniques and strategies to cope more effectively with work and life stress at individual and organization levels. 6. 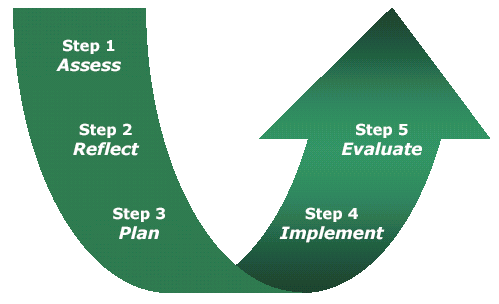 To equip participants with basic counseling and feedback coaching model to help their clients receive the most from their reports and counseling. Each participant will have to complete a StressScan questionnaire. The accreditation will provide a feedback of the individual report and how stress should be managed. 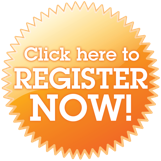 In this course, participants will get to complete an online StressScan profile. A self report that aids in identifying the psychosocial factors that help individuals withstand the adverse effects of daily stress. 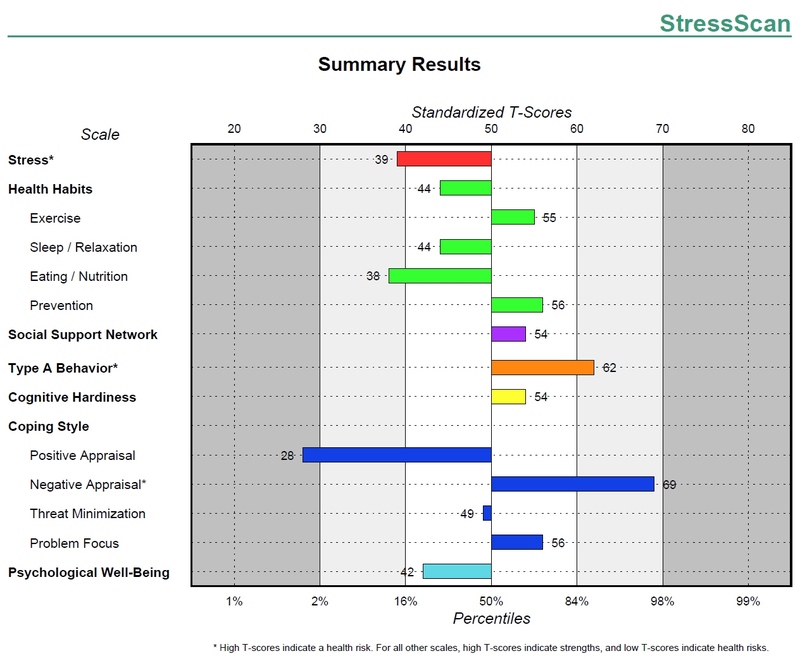 StressScan is adapted from the Stress Profile published by Western Psychological Services, provides targeted information about specific lifestyle and health behaviors that might be contributing to stress-related illnesses for particular individuals. Daniel is the Principal Consultant with Management Centre of Asia Pte Ltd. Daniel received his Master from Regent College, an affiliated member with The University of British Columbia, Vancouver Canada and MSc. in Organizational Psychology from The University of London. He has been appointed the Asian Director and Principal Trainer by “The Leadership Institute of America” and “Consulting Tools” UK. Daniel's experience with psychometric assessments include DISC Personality profiling, FIRO B, and Facet5 (Big 5 Personality Model), StressScan, Emotional Intelligence (People Index) and Thinking Styles. He accredits organizations in the use of DISC and Facet5. Danny Goh, PhD, has been a lecturer since 1999 and is presently an Associate Professor with TCA College, School of Counselling. Danny obtained his marriage and family degrees (MA. MFT and PhD. MFS) from Fuller Theological Seminary, School of Psychology, both of which are accredited with the American Association of Marital and Family Therapy (AAMFT). He also holds theological degrees (BTh.Hons and MABS) from the Singapore Bible College. Dr Goh has taught as many as 15 different courses ranging from core clinical skills to counselling issues, marital and family therapy to family life education, assessment and psychometric tools, leadership and management, change and conflict, dynamics of groups, pastoral care and ministry, spiritual formation and direction. Danny is also trainer and is certified to administer assessments such as the FACET 5, the 16PF, Prepare & Enrich, the DISC, MBTI, TJTA, FIRO-B, and the MMPI (II).